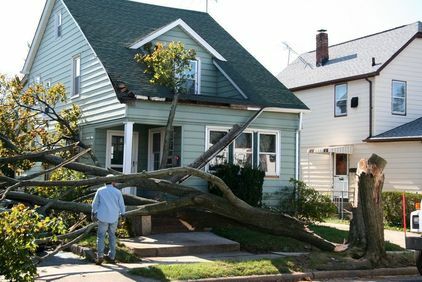 Handling property damage disputes between homeowners and the homeowners' insurer can be a delicate matter. These types of claims often involve multiple coverage issues, allegations of bad faith, and the potential for the insured to recover damages and attorney's fees, if the insurance company mishandles the case. A thorough understanding of the claims adjustment process and Louisiana's insurance laws is essential to effectively handle homeowners' insurance coverage disputes. After Hurricane Katrina devastated the Gulf Coast, our firm's New Orleans property insurance claim lawyers worked tirelessly representing insurers in mediating and settling hundreds of property damage cases. Our law firm aggressively litigated cases when the damages claimed were excessive or unwarranted, or when the coverage was questionable. Litigating property damage claims for businesses, commercial, tenants, and building owners can be complicated. Whether the claim involves wading through financial records for a business interruption claim or sifting through flood and hurricane debris in a damaged building, we have the experience necessary to guide your company through small-scale disasters or catastrophic events. From the smallest to the largest of property damage claims, it takes an experienced property insurance attorney to identify the coverage and legal issues involved. At Richard Kutcher Tygier & Luminais, LLP, we consult adjusters, contractors and engineers to effectively analyze all the factors involved in property damage disputes. When you select our law firm, you can feel confident knowing we have the resources, skills and legal knowledge to help you pursue a favorable resolution through negotiations, mediation or trial. We have experience defending clients involved in a wide-range of property insurance claim disputes. We apply our years of experience and legal skills in pursuit of obtaining favorable resolutions in a timely and cost-conscious manner. Contact our law firm today to schedule a convenient consultation.